If you love the roar of rocket engines breaking the surly bonds of earth, then you need to check out NASA's Soundcloud page. Last week, they added scores of sound bites, including launch sounds, and historic voice recordings from Astronauts. 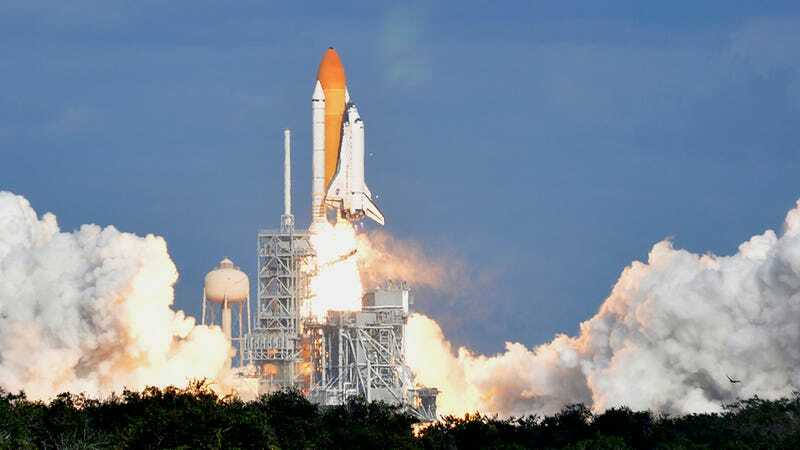 The STS-126 launch was America's first mission after the loss of "Challenger." In 2009, I was fortunate enough to attend a two-day NASA "Tweet-up" — the highlight of which was being able to witness the launch of Shuttle Atlantis mission STS-129. We stood right on the edge of the water, next to the countdown clock that you see on TV if you've ever watched a launch. Apart from the sight of the launch itself, the sound is quite breathtaking. As you stand there, the shuttle makes its roll to head out over the Atlantic, and the engine exhaust is directed back toward the launch site Kennedy Space Center. The sound is so intense, that you don't only hear it, but you feel it. It's like using your fist to rapidly but softly hit yourself in the rib cage. It's unlike anything else I've ever witnessed. If the rocket roar doesn't do it for you, some of the historic quotes are pretty great as well. It has President Kennedy's moon mission challenge, "God Speed, John Glenn" and "The Eagle Has Landed" among many others, and of course they're all downloadable. Spend a few minutes of your day to remember how far we've traveled in a little over 100 years since air travel began.